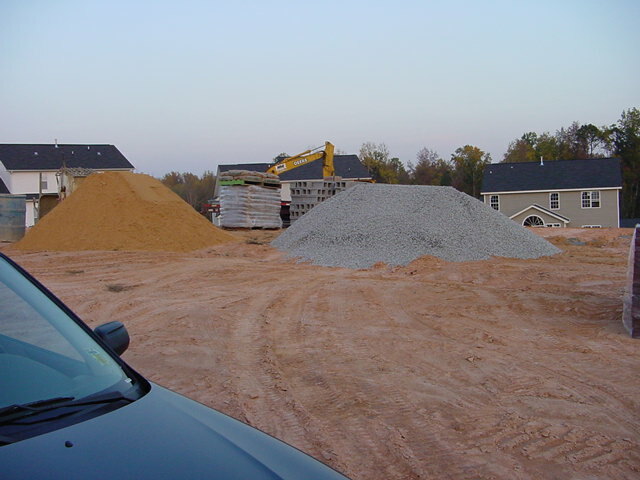 The best you are going to be able to do is to estimate the number of cubic yards. From the picture you sent any my own experience with sand and gravel piles I think that the base of the pile is approximately a rectangle with semicircles on the ends. If so then the pile can be seen as three pieces. One piece has a rectangular base and is triangular when viewed from the end. The other two pieces are parts of cones. If my approximation seems reasonable to you then you can calculate the volume as follows. If you decide to measure a pile and use this expression let me know what measurements you get. If I am correct in my assumptions then W should be approximately equal to L - S.